Dear Lightworkers and dear humans on Earth. Your consciousness is being raised at we might call record speed. Never before have we seen so many of you expand your selves with a force and intensity. You are really fantastic and you now start to approach the level that you were at when you decided to incarnate on Earth the first time. As a pure energy you made a decision lower your consciousness and to participate in the mission that you now are in the middle of the resolution of. Everybody and everything in your dimension are now striving for the light in themselves from the level that you are at – in the same way that all dimensions within the All does. All dimensions are in harmony with each other, which means that when the energies of Earth are being raised all other dimensions come along. 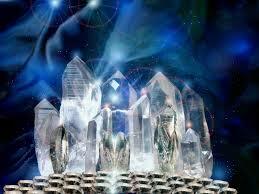 As souls you collaborate within your own dimension and all other dimensions with the All. As you brave souls have chosen to incarnate on a very low frequency place with the All you have full support from an enormous array of souls within the Universe. All of you collaborate with other dimensions in the Universe, but most of the Humans on Earth are as yet unaware of this. In order to be aware of other dimensions a certain level of consciousness must have been regained. One might say that you have to come to a certain level of consciousness in order to remember. The higher consciousness you achieve your memory of who you are and what the All is becomes clearer. Many of you lightbeings are now approaching a consciousness that is you without meditation and continuing in trans can see, hear and even feel other dimensions. You start to be aware of your own greatness and that everything in your life always is a reflection of your own consciousness – a reminder that want to move towards more love within yourselves in order to arrive back to the point when you are free, happy and completely conscious of the fact that nobody or nothing ever can hurt you for real. Many of you are also starting to feel that you want to move to other places on Earth than where you live and are. The Greek Islands, the areas around Gibraltar and the Canary Islands are just a few examples of places that get your heart to long for more. Perhaps you have gotten attached to a place on Earth during a vacation trip that you chose to visit for a reason that you then were completely unaware of, but you now you begin to understand that it means something more to you. You experience the place a liberating and feel how you become happy and different from being there. You simply feel at home there, yes, as if you become yourself there and you feel a constant longing to travel there. From the Crystaline world we would like to describe that which you call Atlantis as the high dimensional place on Earth that you all descended to when you are pure energy as you first choose to incarnate on Earth for your mission in the lower energies. Our truth is that you as pure energy needed to acclimate your self in the Atlantis dimension before you fully could lower your consciousness to a level of human life on Earth. Gaia’s energy was during the time you came here a very low frequency place and for you to be able acclimate yourselves to her energies light high frequency areas on Earth were created where you slowly could adjust your energy. Atlantis is thus a dimension. This dimension can be found on an array of high frequency places on Earth, which means that everybody that have been, through their “speculations”, arrived at the fact that Atlantis has been in a certain place are correct. The dimension of Atlantis is still present and you approach it now. It is for this reason that you feel drawn to certain places on Earth – A place where the energies are sufficiently high for you to experience your rebirth, your recapture of your Atlantis consciousness. In actuality Atlantis was the moment when you as a high energy choose to fall far down in consciousness in order to forget your high dimensional truth and to start fresh form a very low level of consciousness. You were in your consciousness separated from yourselves and those that you dearly loved. It was very painful for you then and many of you have during this current life had a hard time to create happy love relationships as the memory of the pain you experience during the separation comes back to you and “destroys” the most fantastic love. 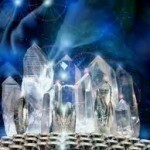 Many of you have the souls that you had with you here to your Atlantis all around right now. When you remember that the pain, that you feel continuously present in your chest, comes from this moment it will be healed and you can again unite the grand love within yourselves and those that you love close to you, but that you have forgotten to you love so much. Follow your heart and visit the place that your heart is screaming to travel to. You will remember your origin there and you will recapture your higher consciousness. Follow your heart and find the place in yourselves where you originally where when you lowered yourselves down in the darkness. This place within yourselves us pure love and when you have recaptured it you will never leave it again.